Proper education and guidance is not only necessary in order to keep pace with the modern world but its also an important part of our religion. This is the reason Islam has also stressed upon the importance of education calling it must for both the man and woman. Education enables us to differentiate between black and white. This is the reason that the elite class in our society don’t want the nation to get proper education. Being educated will enable us to see thorough them. 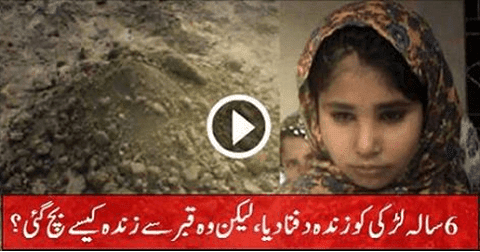 Here in Pakistan an uneducated father buried his adopted daughter in order to perform a black magic cult. This is ignorance and lack of education that makes people to believe in things like these. The girl later told her real parents what this man did to her. This is the lack of education in the society that believe that such stupid acts can fulfill their desires.